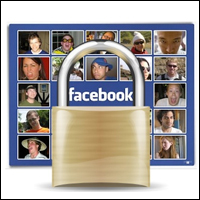 Facebook Security: Why are people still falling for scams? Last January, a report from security experts Sophos stated Facebook as being the biggest contributing factor these days to internet security. The firm carried out a poll which found that 82% of people consider the social networking site to be the biggest threat of all the social media channels out there and yet, a year on, nothing much seems to have changed. One of the biggest scams around at the time was the fake ‘see who has viewed your profile’ messages. Whilst many of us don’t actually care who’s viewed our profile, unless of course you’re worried about a stalker, many apparently still do. Obviously the teenage component who live on Facebook have a lot to do with this; not only are they less security aware, but they also live in a world where the temptation to click on anything and everything is far too great to resist. Of course, I’m not saying that they are the only culprits, or suggesting that the majority of teens are responsible for the many scams, spams and malicious links on Facebook, plenty of adults who you would think would know better contribute to the problem too. The point is, it remains a big problem and despite Facebook’s claims that they are “stamping out” the issue, it seems unlikely, as newsfeeds continue to be cluttered with this garbage. Let’s get it straight then, there is no way that you can discover who is viewing your profile, short of asking everyone on your friend’s list. Unless of course you have an ‘open to the public’ profile (always a bad idea), in which case you will never, ever find out who finds you irresistible and just can’t stay away. The above is just one example of the many fake apps that are about; according to Sophos, plenty more variations exist, such as the ‘shared photos’ as shown below. Of course, these are simply scams that have already tricked one of your friends to install the app, which then has permission to post whatever it damn well pleases, wherever it pleases. Some of the time, these are nothing more irritating than spam, but many of them lead to survey scams, which are more concerned with making you part with your cash, in one way or another. The problem is that they are a constant assault on FB users; it just takes one person on your list to start spreading the problem and it spreads like wildfire, as we have noticed. Sophos say that there has been no significant change in the trend and if anything, it continues to propagate across the site day in, day out. Whilst Sophos acknowledge that Facebook are concentrating their efforts on more malicious attacks, such as malware-infected links, these scams do still present a huge problem. “Facebook isn’t prepared to vet apps, leaving the door open for anyone to write a rogue application that can be used to hijack the accounts of the unwary,” Graham Cluey of Sophos says. “Rogue applications can be used to scoop up personal information, or spread spam and scams rapidly across the social network. If you mistakenly installed a rogue app, remove the messages from your timeline, revoke the app’s publishing rights and report it as spam to Facebook, and ensure that you have revoked its access to your account,” he further advises. There is no such thing as a profile viewer, nor is it a great idea to click on that photo that says things such as “look what this dad walked in on his teenage daughter doing”, or “Justin Bieber stopped this girl getting raped” (a popular one right now and completely fabricated). All-in-all, Facebook aren’t doing enough to address the problem, but it’s not just up to them, as internet users we all have a responsibility to ensure that our machines, pockets and friends stay safe – so think 70s seatbelt adverts, instead of ‘clunk, click before every trip’, apply the simple logic of ‘think before you click’ – or Google it, takes seconds of your time.